Available in print October 31, 2017! 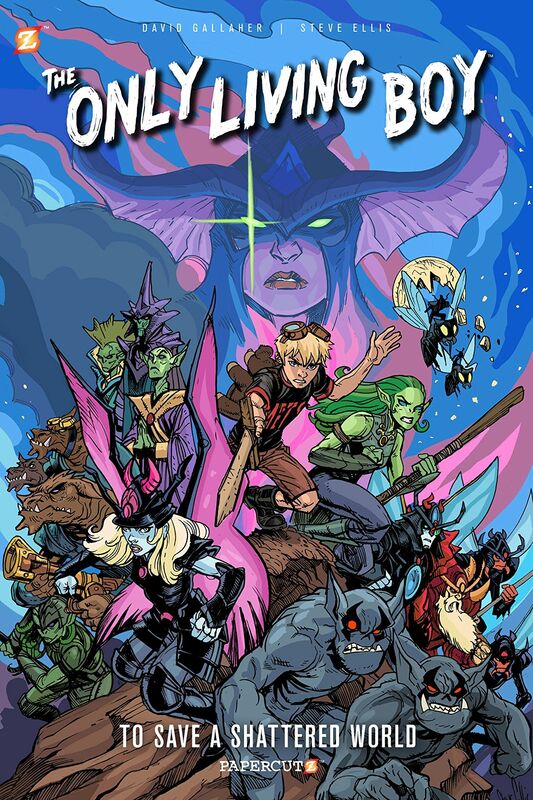 Erik Farrell, the “only living boy” on the patchwork planet, has done the impossible. He’s united the multiple and often warring factions scattered across the strange world he’s found himself on, and has turned them toward the goal of defeating the shape-shifting dragon Baalikar. Along the way, he’s grown from a frightened young boy running away from everything that stood in his way, and has become a courageous freedom fighter. Rejoined with his friends- Thea the Sectaurian Princess, Morgan the Mermidonian warrior, and Kleef the newly crowned king of the feral Alku- Erik has come to the defense of Thea’s home, Hive City, where Baalikar has come to gain the city’s secret of the Chrysalis. Let the final showdown begin! I’ve been following this title since writer/co-creator David Gallaher (Vampire: The Masquerade, High Moon, Box 13) contacted me after I’d reviewed Box 13, way back when I was first starting out on thePullbox. Over the time I’ve been reading Erik’s adventures across the patchwork planet, I’ve been impressed with the story as a whole, even when Erik drove me nuts with his clingy “poor me” attitude. 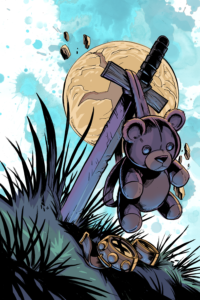 Gallaher has taken the young lad from that whiny little victim, through what people in the industry would call a “character arc”, and has let him evolve into a gutsy little swashbuckler. David Gallaher has done a great job of allowing Erik to be that annoying little snot of a kid, because at the start of his story back in vol 1, that’s exactly who Erik was- a kid who’d learned to deal with his troubles by either running away from them or latching onto whoever was around to use as a handy life preserver. Erik didn’t know how to be brave and self-sufficient, and it’s a credit to Gallaher that he could resist the temptation of writing Erik to be just another plucky, heroic child protagonist. Throughout Erik’s arc, he kept telling himself to “be brave”, and in his story’s epic conclusion all the positive self-talk has paid off. 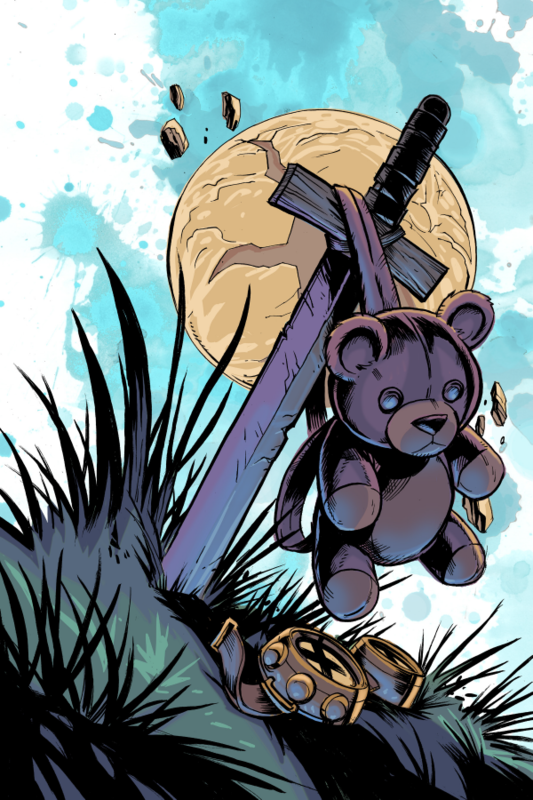 Gallaher’s scrappy little hero has found his courage… and dare I say it, the power was within him all along. Helping out with the story telling duties, big time, is artist and co-creator Steve Ellis (High Moon, The Silencers, Tranquility). I have no idea where one’s creation of this bizarre little world left off or the other’s picked up, but Ellis’s visualization of the whole thing has been pretty impressive from the start. He’s populated this world with beings ranging from the truly disturbing to the oddly beautiful, all inhabiting a series of environments as strange and diverse as anything Carol or Verne could have come up with. 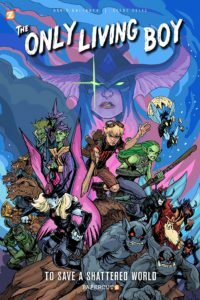 With the Sectaurians in their bee hive looking city, the Mermidonians and their aquatic environment, and the Groundlings in their subterranean world, The Only Living Boy has never lacked for something new and interesting to look at. 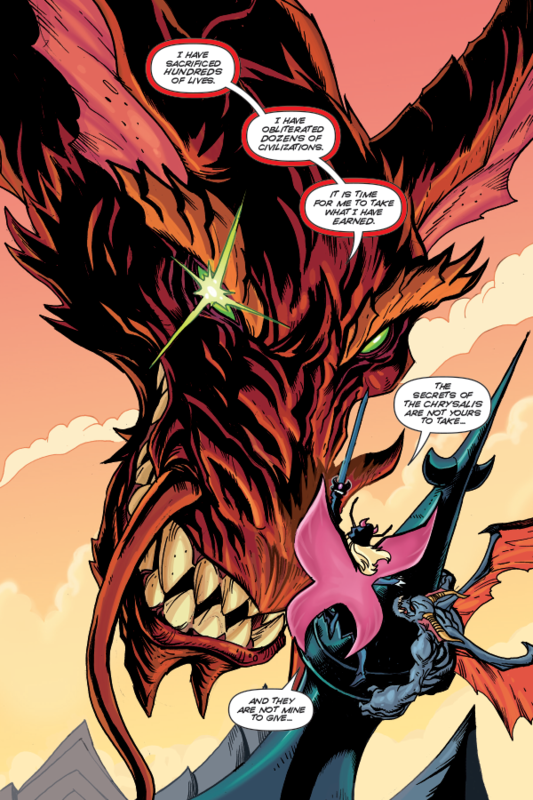 The Only Living Boy is an adventure for anyone, of any age. There are some bizarre twists along the way, and some interesting questions posed for the reader who’s looking for a few more layers in their reading. If you haven’t given this title a shot, you might want to reconsider. If you won’t even try, Baalikar wins.